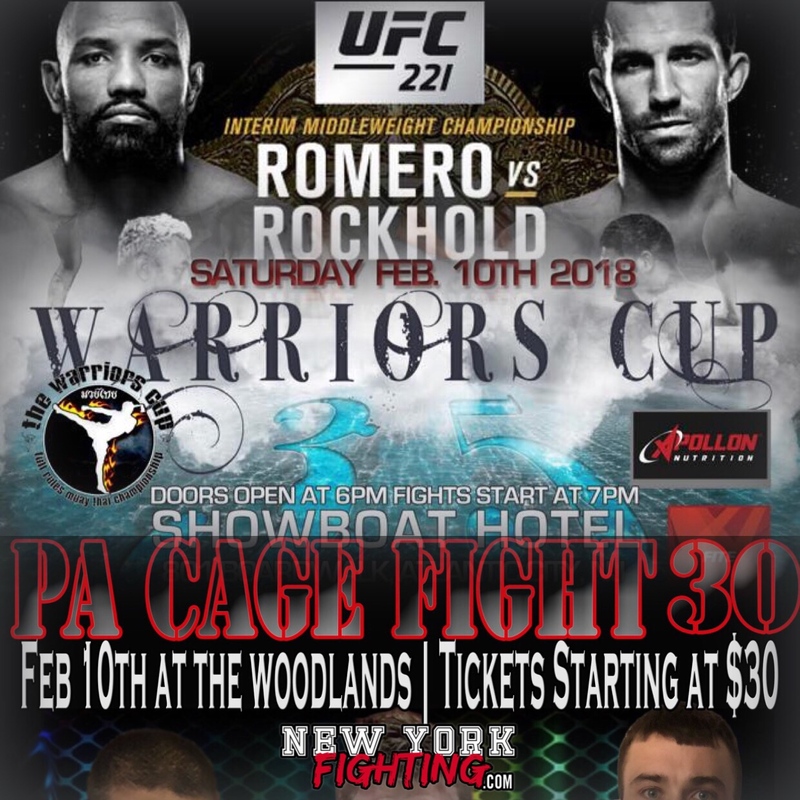 PA.’s longest running MMA Promotion returns to action Saturday night February 10th 2018 at the home of PACF, The Woodlands Inn & Resort on Rt. 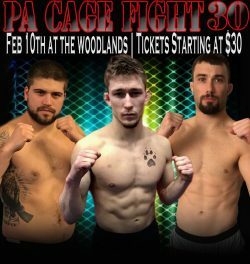 315 in Wilkes Barre PA. PACF’s latest installment, PACF 30, looks to be an exciting night with 14 action packed Professional and Amateur bouts. 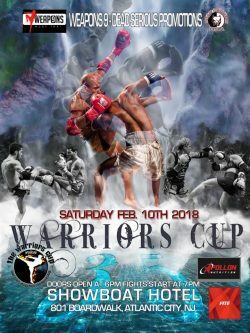 PACF is looking forward to our 10th consecutive sell-out at the Woodlands in this Mixed Martial Arts event. 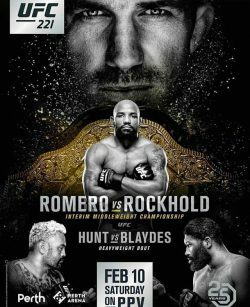 The UFC will make its first appearance in Perth this weekend, which will be headlined by the #1 Ranked UFC Middleweight Yoel “Soldier of God” Romero (12-2), as he takes on the #2 Ranked UFC Middleweight Luke Rockhold (16-3) for the UFC Interim Middleweight Title Fight. The winner of this bout will then take on the current UFC Middleweight Champion Robert Whittaker when he returns from a medical leave. Rockhold, the former UFC Middleweight Champion and Strikeforce Middleweight Champion, looks to retake the top of the division. Romero, an Olympic Silver Medalist in Freestyle Wrestling, looks to bounce back from his first loss since 2011 when he was beaten by current division Champion Robert Whittaker. 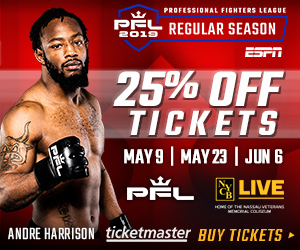 Forer K-1 Grand Prix Winner, New Zealand native, and #5 Ranked UFC Heavyweight Mark “Super Samoan” Hunt (13-11-1) will take on the rising star and current #9 Ranked UFC Heavyweight Curtis “Razor” Blaydes (8-1). In the battle of the Light Heavyweights, #13 Ranked Tyson Pedro (6-1) will fight Saparbek Safarov (8-1) as they both look to bounce back from the first losses of their careers; Pedro losing to Ilir Latifi, and Safarov losing to former Ring of Combat Champion Gian Villante. 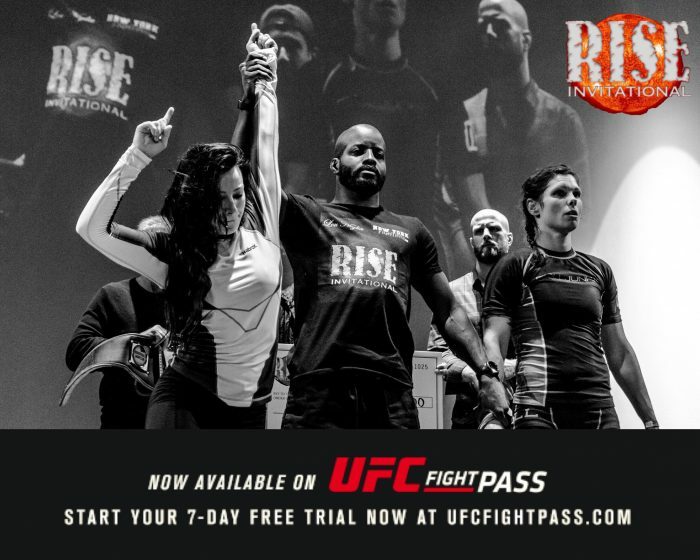 The Ultimate Fighter Series Veterans Ross “The Real Deal” Pearson (21-12) and Mizuto “Pugnus” Hirota (19-8-2) will face off in the UFC Fight Pass Prelims for an exciting battle of Lightweights.